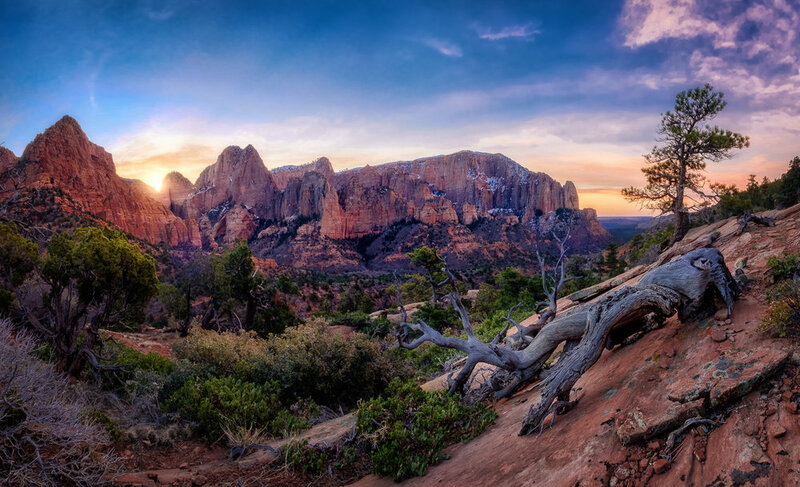 Sunrise in the Kolob Canyon section of Zion National Park. Captured the morning of March 12, 2017. Sunset from Zion Canyon Overlook in Zion National Park. Captured on March 12, 2017.